When you think of the most influential people in medicine, you probably think of doctors and scientists on the cutting edge of some cure, or medical technology advance. It is actually much larger than that. The most influential people in medicine include doctors, researchers, politicians, funding masterminds, and more. To be truly influential, a person must be visible, well respected, and have accomplished something that influenced a major change in the way people view medicine, wellness, or healthcare. Here are the top 25 most influential people in medicine, who are still alive today. 1. Robert Grant began researching AIDS in the 80s when the disease first became prevalent. In 2010, he released a study that inspired the prevention of AIDS in those most at risk, rather than simply focusing on treating those who had already contracted the disease. 2. Michelle Obama has made it her personal mission to use her husband's time in office as an opportunity to inspire a healthier America. She founded the Let's Move initiative, and other programs that target obese children. 3. 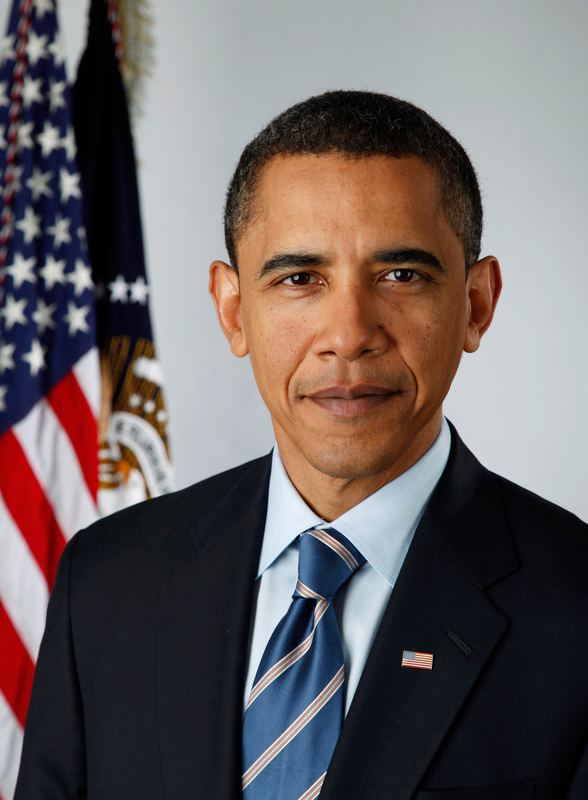 Barack Obama forever changed the landscape of medical care in America when he pushed the Health Care For America plan, which provides for all Americans to have some kind of health insurance by the end of 2014. 4. Peter Agre won the Nobel Prize in Chemistry in 2003. He discovered the water channel proteins that transport water through the cell membrane, and isolated those aquaporins in both plants and animals. 5. Richard Axel, and his partner Linda B Buck, mapped the genes that control and encode the human sense of smell. 6. 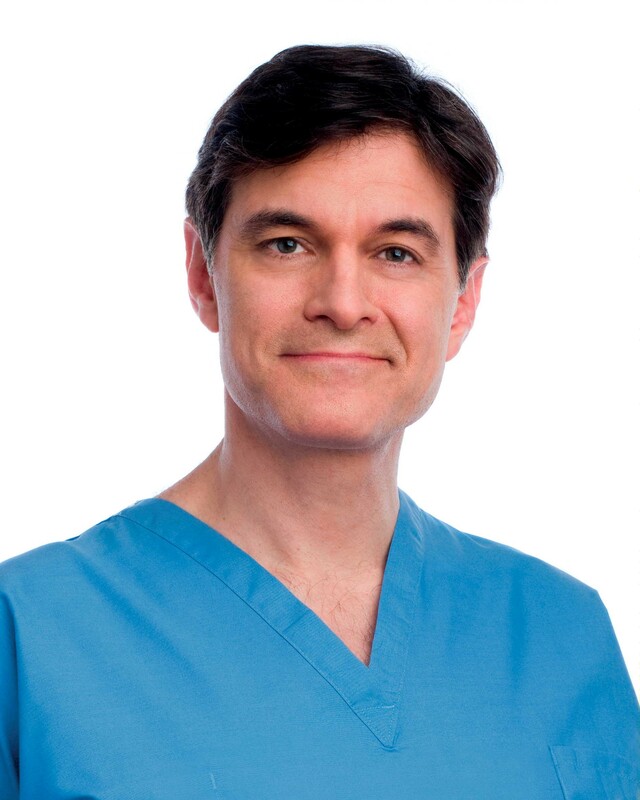 Dr. Mehmet Oz M.D. has certainly made himself well known. The cardio-thoracic surgeon works to bring a variety of important but little known health facts to the public, and has found a way to make medical knowledge popular. 7. Dr. Mark Hyman found himself at the top of the New York Times best seller list in 2012 for his book The Blood Sugar Solution. His book demonstrated mainstream, easy to accomplish solutions to several chronic illnesses. 8. 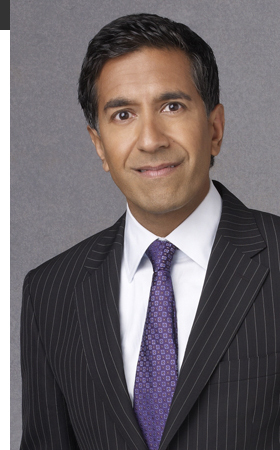 Dr. Sanjay Gupta serves as the chief medical correspondent at CNN. He launched Fit Nation, an American anti-obesity program, and delivers new medical developments to the public, in terms that they can easily understand. 9. Michael Brown, along with his partner Joseph L Goldstein, were honored with the Nobel Prize for Physiology and Medicine in 1985. They traced the genetic markers that affect the metabolism of cholesterol, and developed medication to control it. 10. 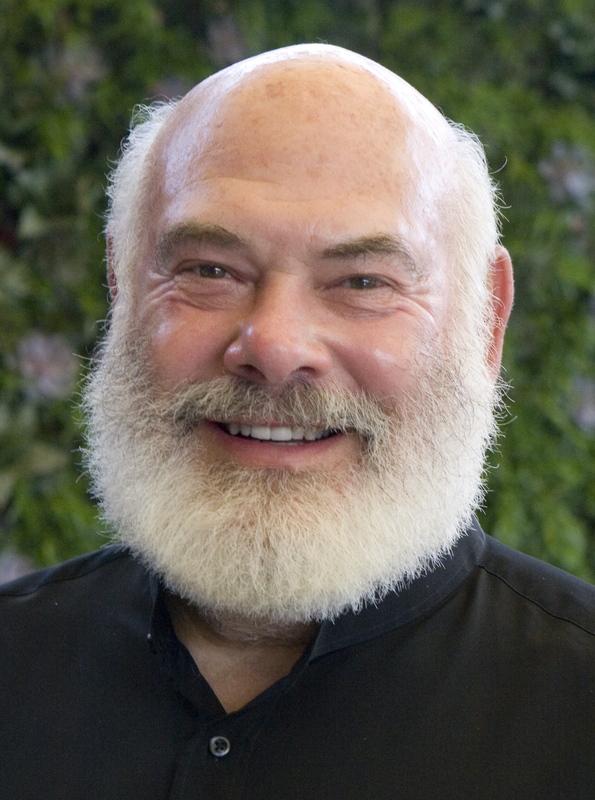 Andrew Weil M.D. is perhaps the most well known proponent of integrative medicine. He is a TV celebrity, a well known author, and program director at the University of Arizona. 11. 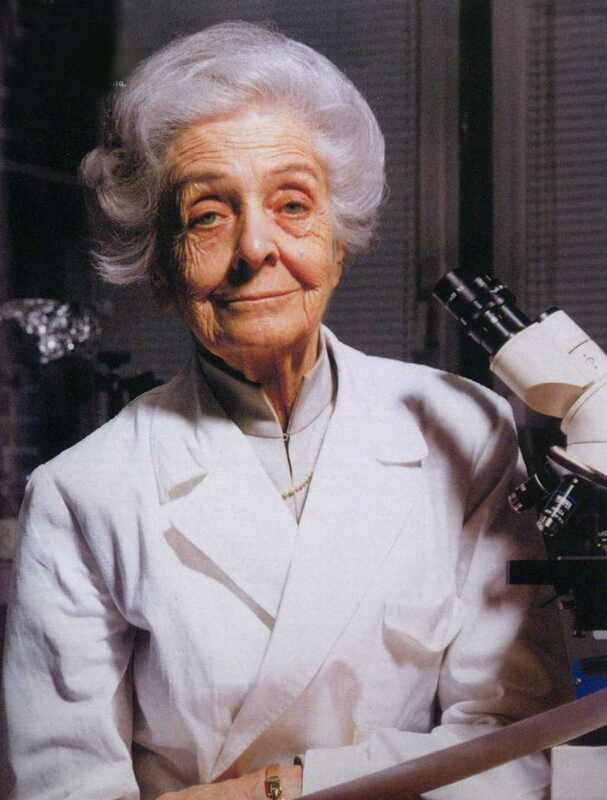 Rita Levi-Montalcini is an Italian neurologist, and professor of medicine at Washington University in St. Louis. She is best known for single handedly discovering what stimulates nerve growth in the human body. She won a Nobel prize in 1986. 12. Barry J. Marshall discovered a bacteria related to ulcers in the lining of the stomach. He also determined how to treat the bacteria with antibiotics in order to cure many cases of gastritis. 13. J. Robin Warren was Barry J Marshall’s partner. Together they won a Nobel prize and changed the way ulcers are approached in modern medicine. 14. 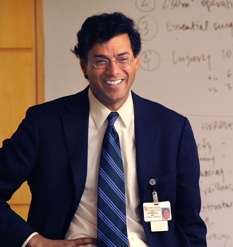 Dr. Atul Gawande serves as the founder of Life Box, and is an adviser for the World Health Organization's Safe Surgery initiative. He has written three books that were listed on the New York Times bestseller list in medicine. 15. Dr. Lisa Masterson has become a household name by co-hosting the popular TV show The Doctors, but her medical expertise goes far beyond cable television. She is the medical director of Oceans Oasis Medical Spa, and founder of Maternal Fetal Care International. 16. Mark Bertolini is the chairman, president and CEO of Aetna, the third-largest health insurer in the United States. He has a significant amount of influence in both the private medical sector and government. 17. Dr. Elias Zerhouni served as director of the United States National Institutes of Health for nearly a decade, before stepping down in 2008. He now serves at Johns Hopkins University as professor of radiology and biomedical engineering. 18. Dr. Francis Collins has had a long and illustrious medical career during which he discovered the root cause of 6 major diseases, and served as the head of the Genome Project. He is currently the director of biomedical research at the National Institute of Health. 19. 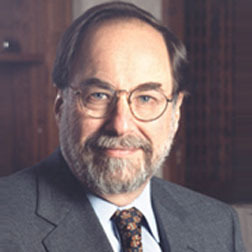 Dr. David L. Baltimore is the Chairman of the American Association for the Advancement of Science. He won a Nobel prize for his study of retroviruses at the age of 37, and has continued to advance the medical field ever since. 20. Dr. Harold E. Varmus won a Nobel prize in 1989 for his work on cancer. He specific discovered the cellular origin of viral oncogenes. Today he works as the President of Memorial Sloan-Kettering Cancer Center. 21. 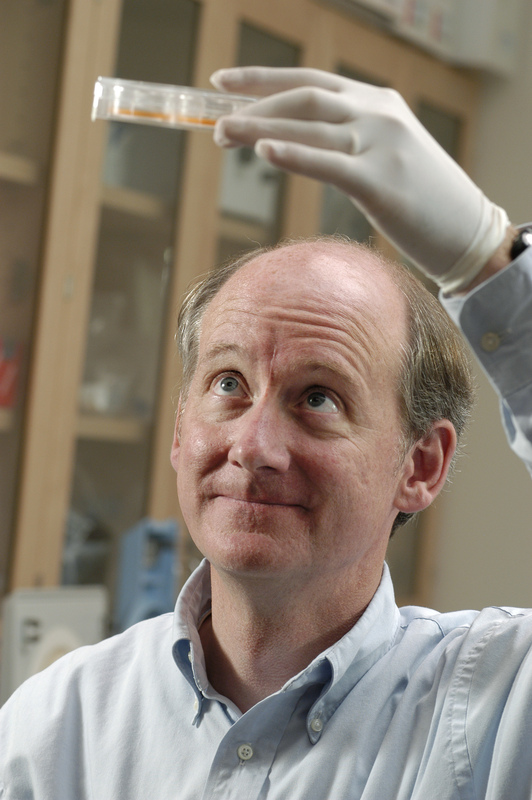 James Thomson has worked with embryonic stem cells, and has pushed for acceptance of this extremely controversial field of medicine. 22. Shinya Yamanaka has worked alongside James Thomson in stem cell research. They have specifically discovered how to remove cells with specialized function from embryonic stem cells. He and Sir John Gurdon were also research partners for years before they were honored with the Nobel Prize in Medicine in 2012. 23. Bill Gates may seem like an unlikely personality to find on the medical top 25, but his software has changed the face of medicine forever. Windows-based computers are the primary medical filing tool in offices today. More importantly, The Gates Foundation is working on eradicating Malaria worldwide. 24. Sir John B. Gurdon, along with his partner Shinya Yamanaka, discovered that mature cells can be reprogrammed. This means that all cells can be made pluripotent, or more versatile, than researchers previously believed they were. 25. Dr. Phil McGraw is a psychiatrist and TV personality known for pushing people to "get real." He has takes a hard stance against addictions, and has helped a great number of people seek in the counseling, and treatment they most need.